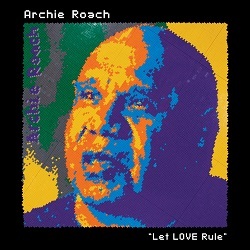 Archie Roach’s tenth studio album Let Love Rule is a concept album of sorts, with a potent message for an increasingly divided world – Roach himself describing this collection of songs as “a call for understanding… to find the things common to us all”. These are not your standard-issue love songs, but rather a much deeper reflection on how love and our common humanity can triumph if given the chance. Featuring an outstanding line-up of players including Into The Bloodstream collaborator/producer Craig Pilkington, alongside Emma Donovan, Matt Walker, Jeff Lang and The Drones’ Stevie Hesketh, Let Love Rule spans singer-songwriter balladry on ‘It’s Not Too Late’, the bluesy swagger of album highlight ‘Mighty Clarence River’ and the Mariachi-inspired ‘Love is Everything’, a collaboration with acclaimed Argentinean charango player, Jaime Torres. A true icon of Australian music, Roach has delivered an important and moving work in Let Love Rule. Freya Josephine Hollick's new album The Unceremonious Junking of Me, is tinged with Appalachian-style nostalgia, yet sounds fresh and current at the same time. 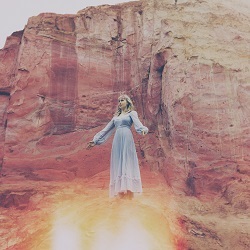 Through this record Freya Josephine lets her melodic voice go which adds an energy to the darker themed songs in particular, like 'Sorrow' and 'A Man Is The Water.' The songwriting is sophisticated throughout, a more developed and at times complex sound compared to her debut Beauty and Sorrow from 2014. Kat Mear's intoxicating fiddle brings the melodies to life with beautiful contrasts and a drama that seems like it is from a different time. This album is a glorious listen from start to finish, and a real maturation for Freya Josephine as a songwriter, and musician.